Richard Irwin (Belper, United Kingdom) on 20 March 2008 in Plant & Nature and Portfolio. 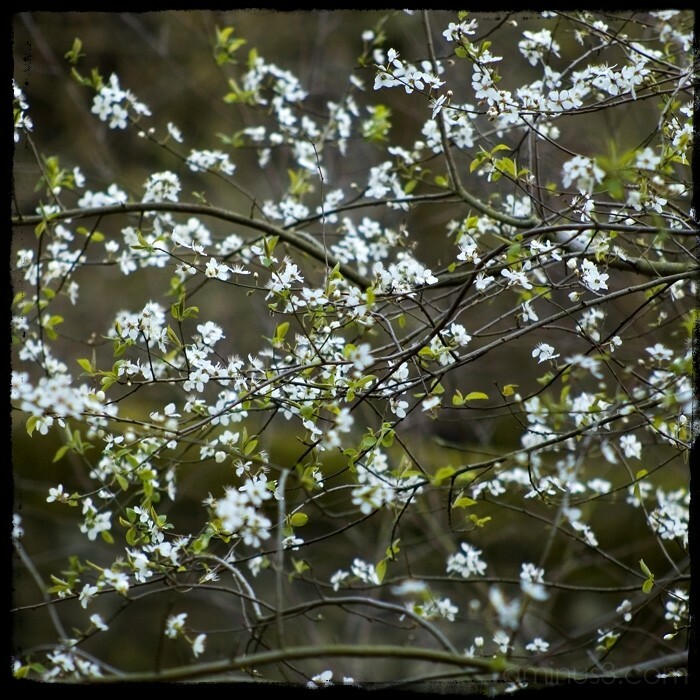 Light winds shaking the blossoming blackthorn trees in the woods. I like the motion of spring, eventually all the blossoms will drop like snowdrops beneath the trees. makes me even more ready for spring. great capture richard. Love this series of photos. Great control of the DOF and the colors are amazing! Really nice subtle DoF effect. This is a beautiful shot, wonderful DOF. Can't wait until it looks like that here! I agree with all the compliments. You have a wonderful composition that works at the level of "realism" (some flowers) and of abstraction as well (lines and circles). Nicely seen. The DOF really helps. Very pretty. @GJC: Thanks. The light winds were what attracted me to shoot the scene, I wanted to get across the idea of movement, the 'rustle' of the breeze in the blossom. Excellent, as usual Richard! That is exactly what is happening here with all the blossoms. @Chris: Thanks. A change in direction a bit for me, as I've been addicted to strong saturated colours and bright light for too long. This spring has started with dullish subdued skies, and the next few shots hopefully will reflect this. A beautifully delicate capture, your words conjure up a wonderful image Richard. @MaryB: Thanks Mary, I am hoping to capture something of the essence of the elements of spring in the shots. I like this and the previous! again beautiful, and DOF works wonderful here. Really love the framing.. the whole essence of spring is wonderfully portraited. Excellent!! very pretty colors. The flowers look so delicate. Your skillful shooting if this image makes for a superb image. Another great shot! love the colors... the last 3 shots in this style are very beautiful! @Sandrine: Thankyou, I'm aiming for a different style at the moment, getting ready to dust off my 6X6 and 6X45 gear and shoot some film in the next couple of weeks.